About Functional Orthotics | Marathon Orthotics, Inc.
Functional orthotics help make the daily grind more comfortable. 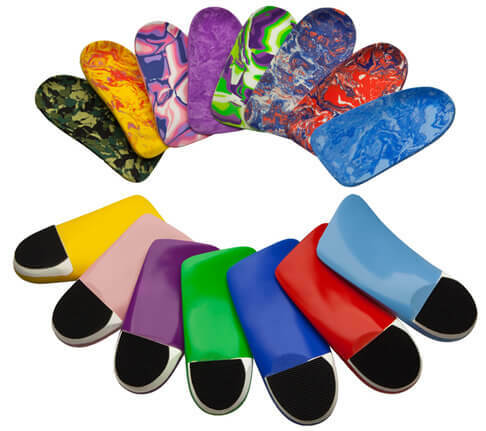 Functional orthotics aid in increasing or maintaining the normal funtion of a patient’s feet. They may also reduce foot, ankle, knee and back pain. Functional foot orthotics are made of various plastics selected specifically for the patient’s weight, activity level and treatment goals. Various depths of heel cups and heights of medial or lateral flanges can be selected to help control the patient’s feet. Lower flanges and heel cups can be selected to make a device that will fit a patient’s dress shoes. With all the choices we have available, you are sure to find the perfect solution for your patients’ needs.